John’s practice is in the area of litigation and employment, benefits and pensions law. He is Head of our Dispute Resolution team and became Managing Partner in July 2017. 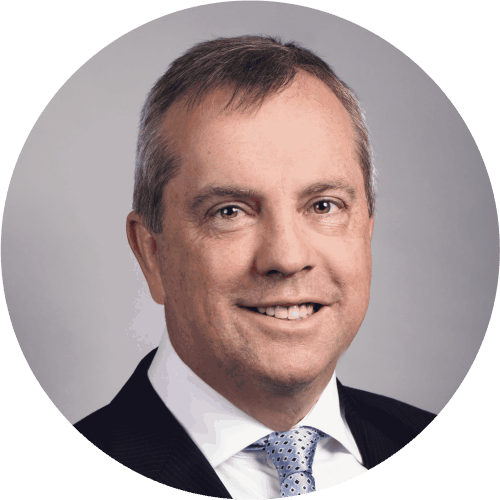 John advises a range of businesses and organisations on commercial disputes, including shareholder disputes, contract claims, specific performance and insurance litigation. He also advises on all aspects of employment law, including redundancies, disciplinary procedures and the termination of senior executives’ service contracts. John qualified as a solicitor in 1992, having studied law at University College Dublin. He obtained a Certificate Diploma in Accounting and Finance in 1994. He joined Whitney Moore in 1989 and became a partner in 2000. ‘John heads the Employement, Pension & Immigration team and is described as ‘ultra user-friendly‘. ‘John is recommended and recognised as “a very well-regarded authority in employment law in Ireland”. He is praised for his “solution-oriented and very practical approach”.